Reflecting the tunnels and thoroughfares of the lost continent, Paradise Island’s The Dig features habitats for 100 venomous Indo-Pacific Ocean Lionfish, 500 piranhas, iridescent jellyfish and six-foot Moray Eels. 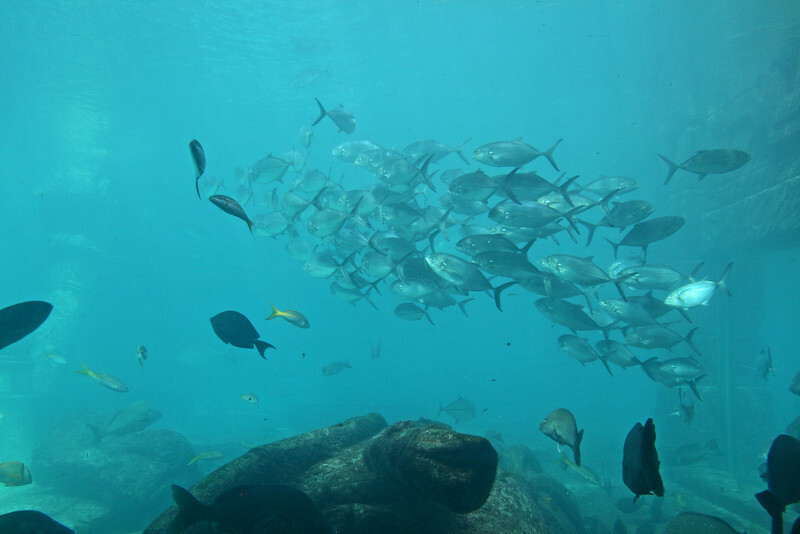 There are special environments for nine species of enormous groupers. And in separate, smaller “Jewel Habitats,” multitudes of brilliantly colored tropical fish dwell. The Dig is a series of aquariums located beneath the lobby of the Royal Towers and is the world's largest open air marine habitat. Hundreds of different aquatic species can be spotted in the Dig's various tanks such as angelfish, sharks, manta rays (one of which is larger than ten feet), and various types of jellyfish. The goal of The Dig is to provide guests with a taste of life in the legendary destroyed city of Atlantis. If one observes the bottom of the floors in the different aquariums, wreckage and debris scattered about represent the "Lost City of Atlantis."